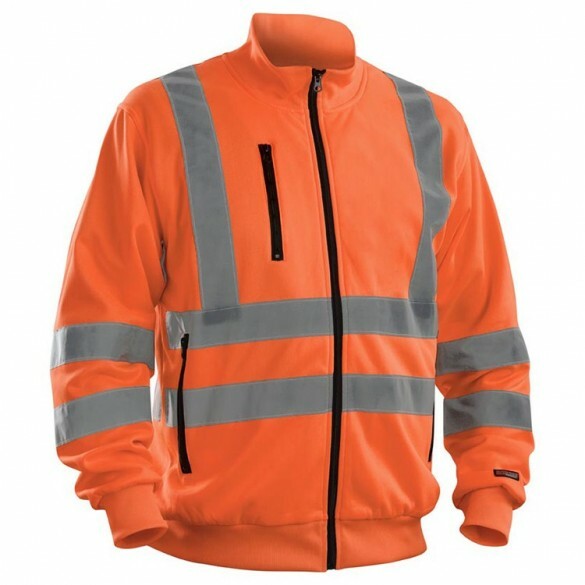 High visibility sweatshirt with perfect fit and reflectors all the way around so that you can be seen from every direction. The sweatshirt has a zip close, two pockets at the front and one chest pocket. Designed for maximum work comfort and certified under EN 20471, class 3, protective clothing with high visibility.